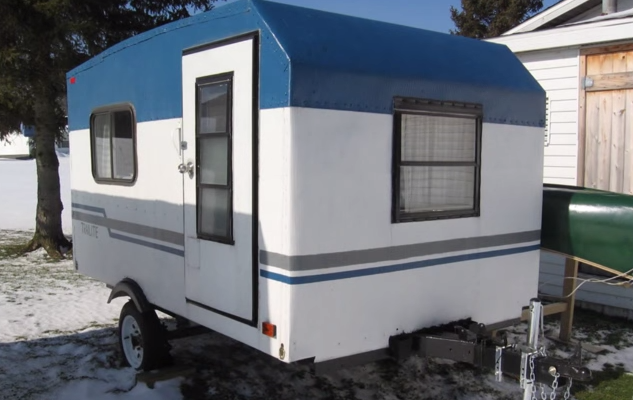 Utility is the name of the game in this thrifty take on converting a van into an RV. 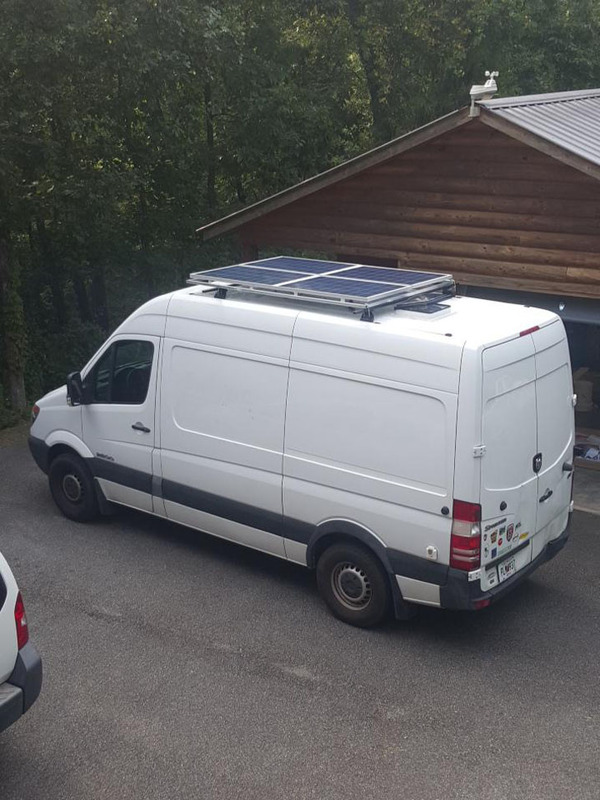 These two young men did not let budgetary concerns or minor details stand in the way with this quick and dirty Sprinter conversion. What it lacks in finesse it makes up for in sheer utilitarianism. 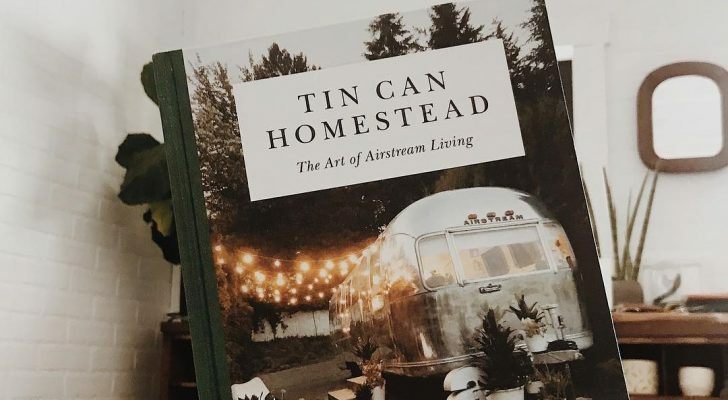 While everyone would love to own a craftsman built RV not all of us have the budget or skills, but these guys show how sticking to the basics can get you out of the driveway and onto the road to adventure. 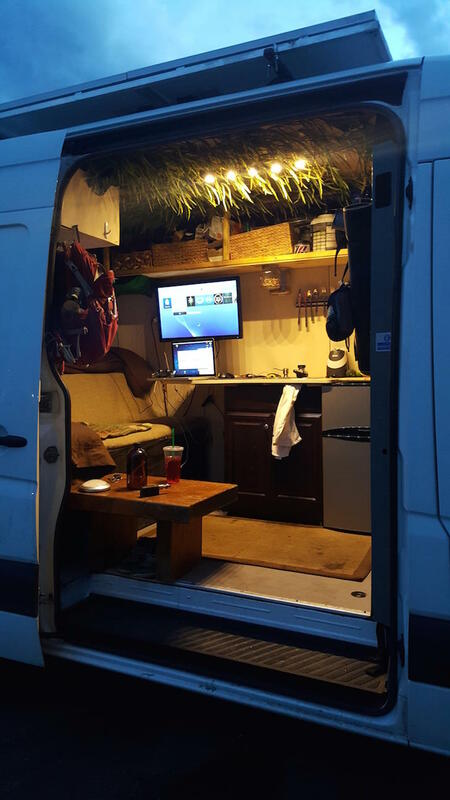 This Sprinter RV conversion was done quickly and simply. 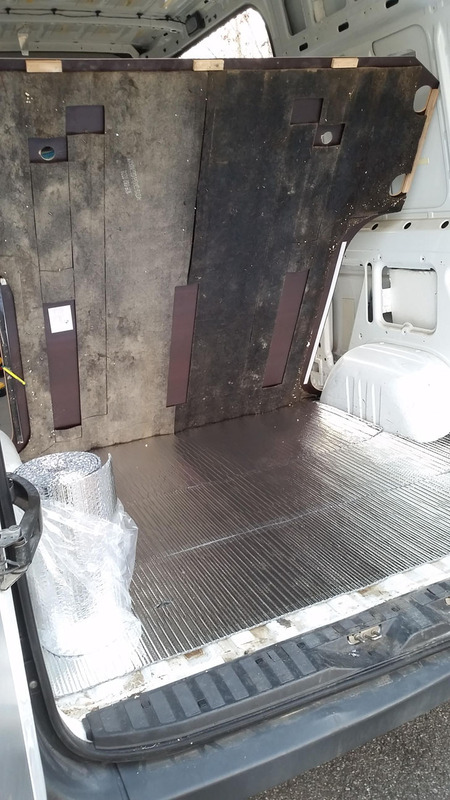 They started by gutting the van and stripping it down to the bare metal on the floor, walls and ceiling. 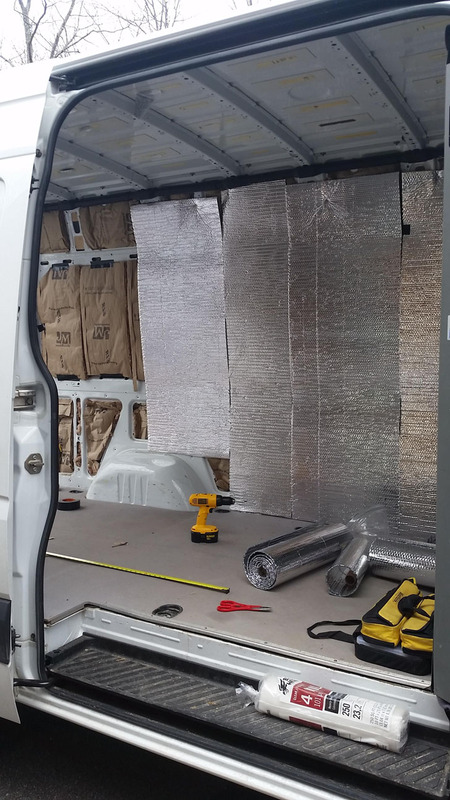 Next up a layer of foil backed insulation goes in on the floor to insulate and reduce road noise which would be fearsome in this empty metal can on the high way. 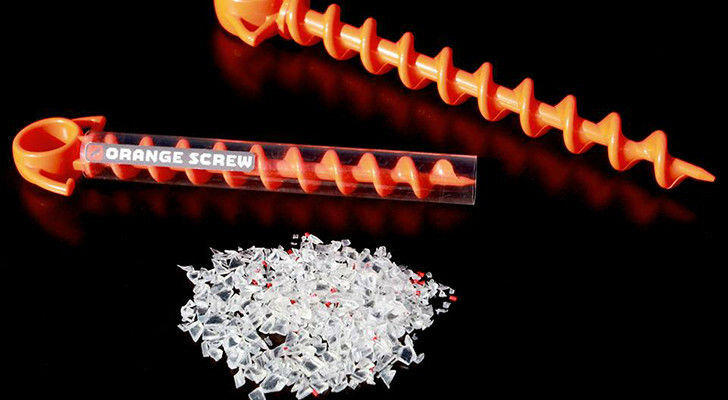 For wall insulation, they chose standard fiberglass batting, an excellent choice for cost and ease of installation, since it snugly fits inside the wall pockets. The raw interior, stripped down and ready for construction. Two kinds of insulation line the walls and floor. Next they added a radiant barrier to the walls with a layer of the same insulation they used for the floor. 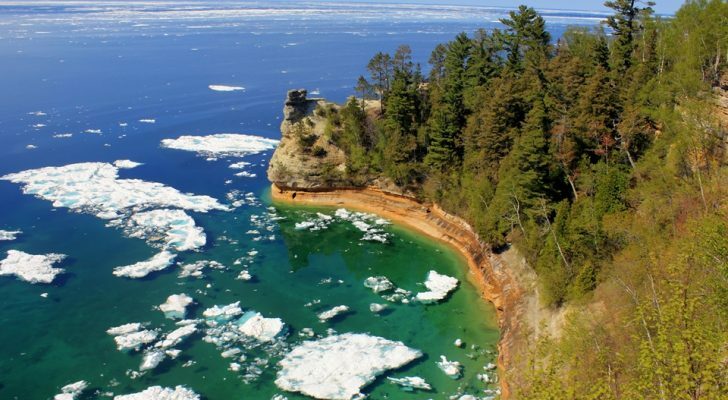 This helps prevent heat transfer during summer camping, and provides an extra layer of warmth for winter as well. The walls were then covered with a thin plywood, screwed directly to the metal struts with self-tapping screws. This is not the most elegant solution we’ve shared but it’s more than functional. 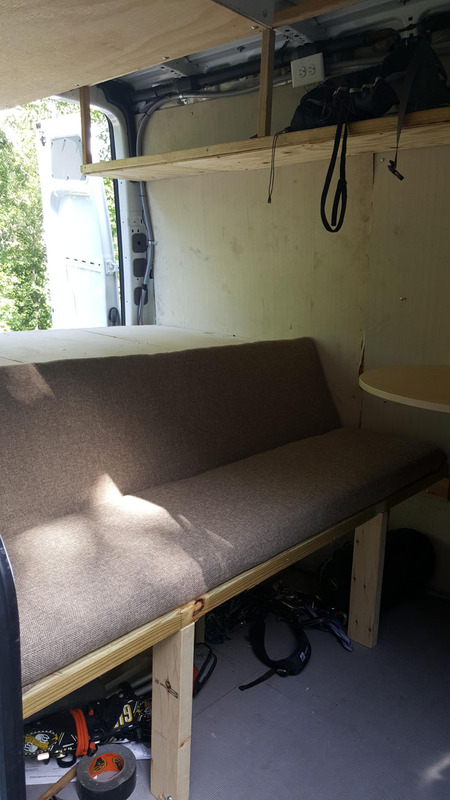 Simple bed platform in the rear of the van. 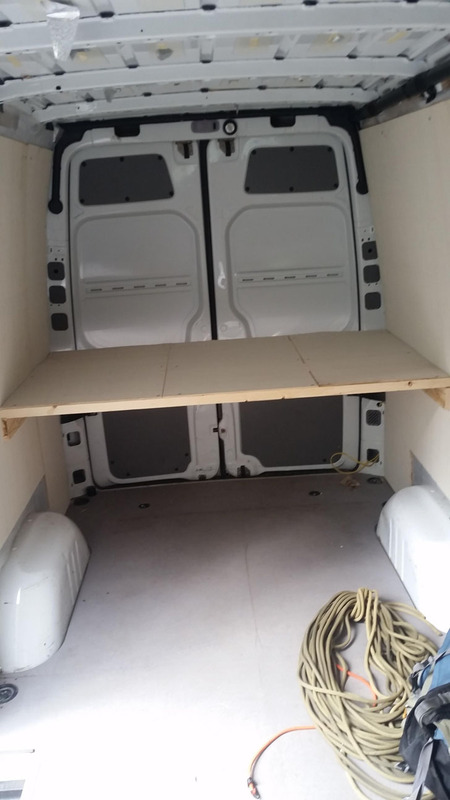 A simple plywood and lumber framed bed platform is set crosswise to take up the least amount of floor space at the rear of the van. 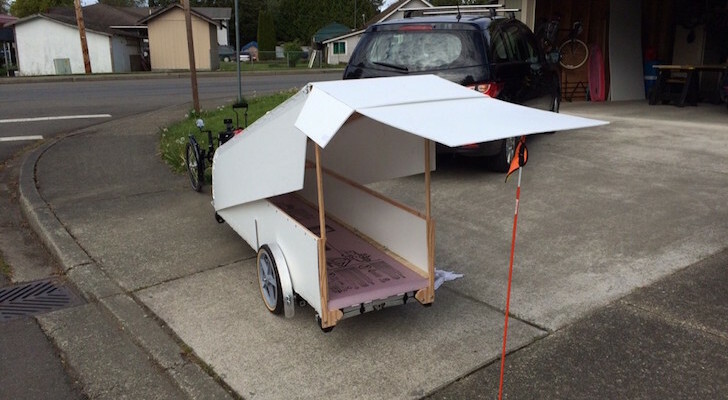 The two by four legs and heavy ¾” plywood make for a stout bed with plenty of open storage underneath. Simple bench with custom upholstered cushions. Since seating is sparse and the bed is a bit tall for a comfortable sitting area, a plywood bench is next on the agenda across the front edge of the bed. With custom upholstered cushions added, this bench makes a serviceable sofa or second sleeping area, as well as a perfect dinette. Storage under the back of the bed platform. 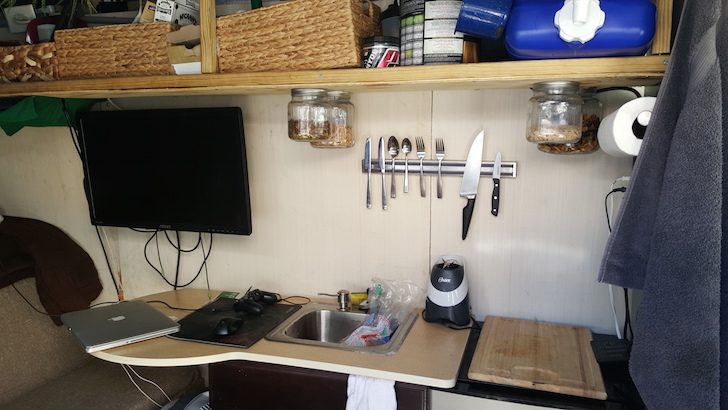 A small sink provides a place to wash up and aids in meal prep in this van’s tiny galley. 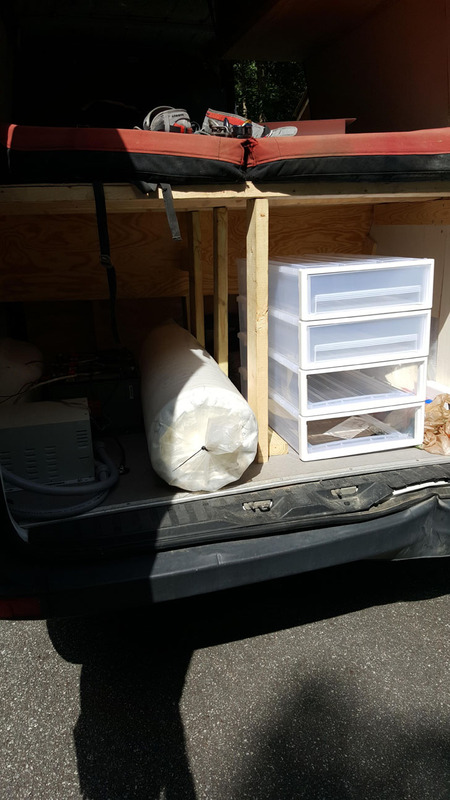 There’s room enough to store a rocket stove for cooking and enough space at the end for a mini fridge. 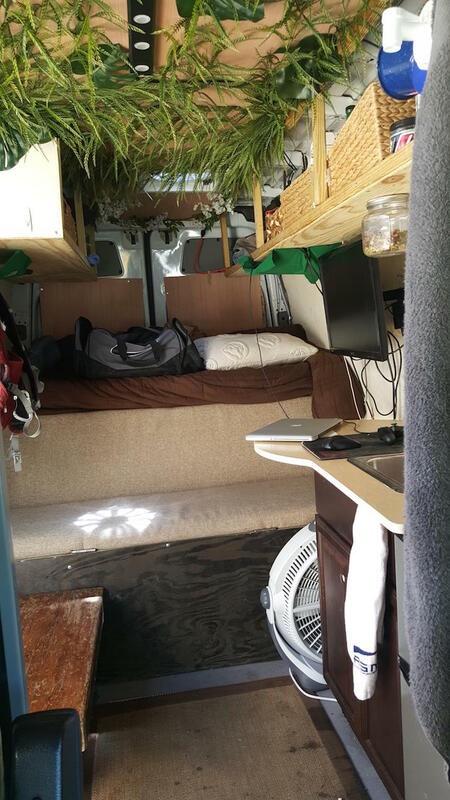 Since this RV is obviously designed for remote locations and roughing it, these guys were thinking ahead and designed in a passive solar system to power the van’s battery bank for lighting, climate control and to power the refrigerator. Hand pump sink with fresh and grey water tanks. 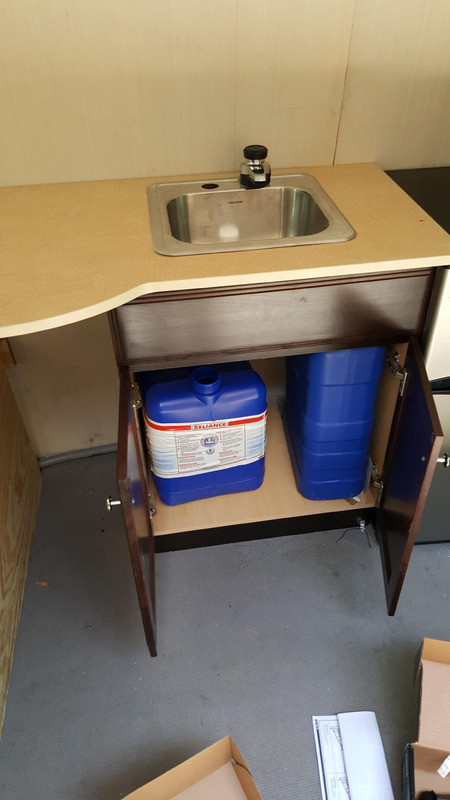 Sink base cabinet and mini fridge make up the base of the kitchen. 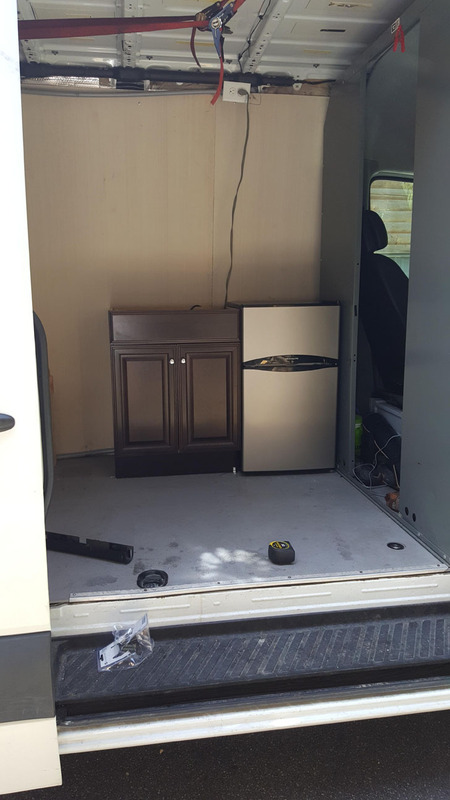 Some pictures of the finished van, starting with the kitchen. The cozy main living area. The finished effect is rough and ready and it looks they are already putting it to good use. 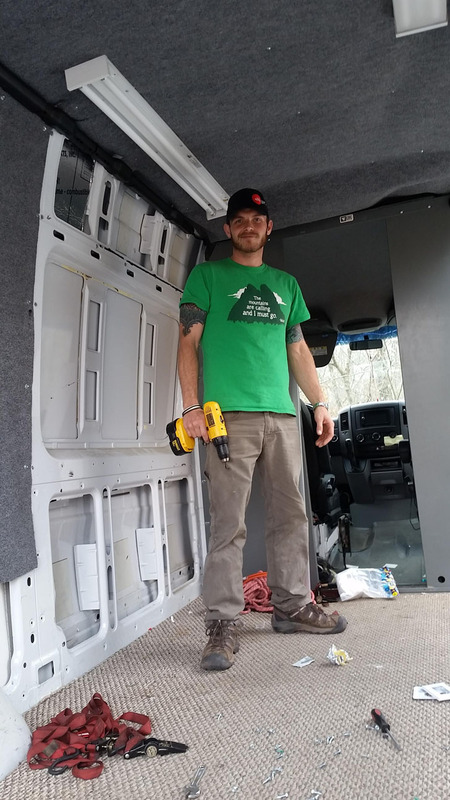 A used utility van, a few common hand tools, a couple hundred bucks in materials and they are ready to live on the road in comfort. It kind of makes your excuses sit up and take notice, doesn’t it? 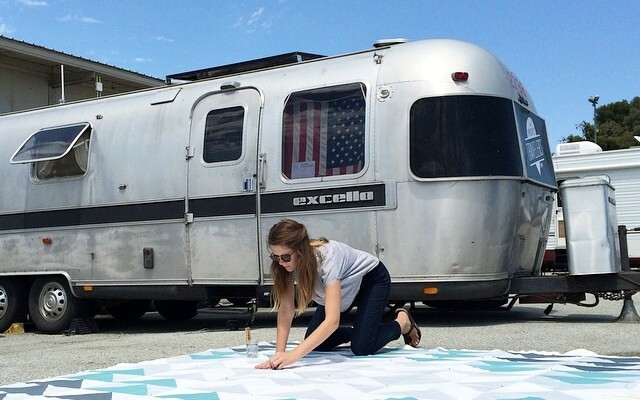 A nice RV doesn’t have to be complicated or expensive to make your camping dreams a reality!